If you’ve yet to hear about fishing drones, prepare to get overly excited. These drones have taken both recreational fishing as a hobby and the commercial industry of fishing to an entirely new level. These drones take payloads to the extreme, using them to drop bait, hold a line, you name it. A lot of fishermen are using fishing drones to scope out the water and see where the best spots to fish are, which is very similar to how drones are used in agriculture these days. People have actually caught fish using a drone designed for this purpose, so we had to dig deep and find the best ones to review further! Fishing drones make it possible to see where the fish are, drop the bait in certain areas, hold a line, and even give you the opportunity to fish in areas you’d never be able to do so in. We want you to be the best pilot you can before attempting to fly your new and expensive fishing drone. That’s why we recommend you use Drone Pilot Ground School to learn to fly and get your 107 license to fly from the FAA. Drone Pilot Ground School is the best course offered and you can get a special limited time deal because you’re a Dronethusiat reader. Click here to get your discount. Some of the drones you’re about to see on our list may surprise you, because you probably wouldn’t think they’d be able to be used for fishing. While this drone is on the expensive side, it is well worth the price because it is one of the best drones for fishing. Since this drone was made specifically for fishing it comes equipped with a fishing line and the most high-quality technology for you to have an awesome fishing experience while practicing your drone skills. 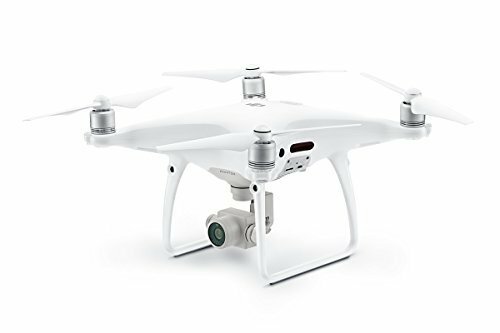 – The DJI Phantom 4 Pro is easy to fly and great for beginners. 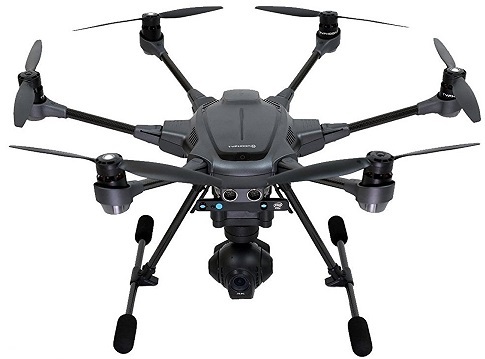 – The Typhoon H has a 3D map making it a great drone for fishing. You can use it to have an edge on where the best catches are. 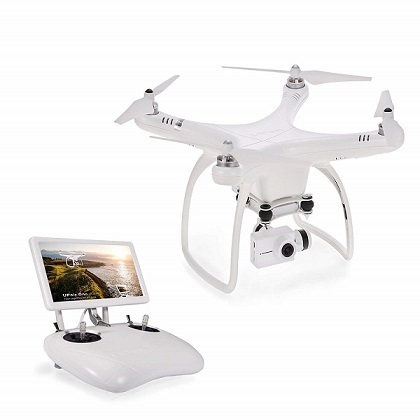 – It also comes with retractable landing gear giving you a stable and durable flight where you don’t have to worry as much about crashing. – Like its competitors, the Typhoon H is large and bulky which makes it more difficult to travel with. The camera features and stability of this drone make this perfect for a fisherman looking to impress on the waters. This drone is slightly cheaper than the DJI Phantom and the Swell Pro but it comes with similar features and is overall one of the best drones for fishing. The 3DR Solo is a good beginner fishing drone for pilots just learning to fly on the waters. 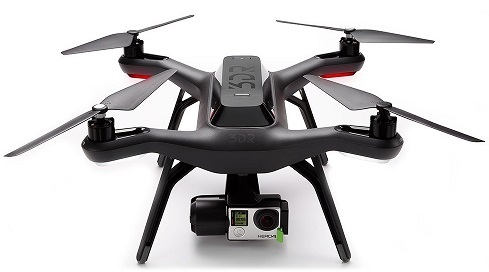 If you love fishing but have never flown a drone, the 3DR solo will be perfect for you. It has professional quality features to make an impressive catch. While the Upair One does not come with as many features as some of the other fishing drones, it’s still a great option for someone looking for a high-quality budget drone. It’s a good drone for fishing if you’ve never flown a drone before. Who knew that fishing with drones would be so easy? These drones are great news for fishing as a hobby or as an industry, so take your favorite pick and get ready to spend the day on the water! If you don’t see your question listed below in our FAQ section, feel free to get in touch with us and we’ll help you out! 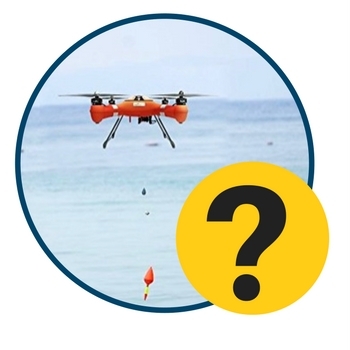 What types of loads can fishing drones carry? Fishing drones can carry fishing line, bait, nets, you name it. Keep in mind, however, that the payload you attach to your drone will drain the battery quicker and will affect how the drone flies, so be careful with the load you use and how much weight you’re putting on. The legality of drone fishing in your state and local area all depends on the state and local laws in effect where you live. This includes fishing licenses, as well. To be sure that you are always within the law, whether you’re using a fishing drone or a regular drone in general, check with your local law enforcement before you take off. Using a fishing drone or using a regular drone for fishing is actually quite easy! There are very few drones specifically made and designed for fishing, but if you have your hands on one currently, you probably already know how to use it and how fishing works. Otherwise, you’ll have to consider a few things. For example, do you want to use an add-on, such as a bait cache? There’s also a very simple way to turn your regular drone into a fishing drone with some fishing line. Simply attach some line, some bait, and go fishing using the Hover function, if applicable, on your drone. Be careful, though, if you hook a fish that’s too heavy for the drone to handle, you could risk losing it forever. This is why specific fishing drones are better to use, but you can use a regular drone as long as you’re careful. The Fishing drone by SwellPro costs 1399$ and not 1699$ like you said here. Moreover, I bought SwellPro Splash Drone 3 Fishing Plus which has a 4K camera and that costs 1599$. I bought my drone at Finish-Tackle online store. Great service, great prices., great communication and they also will ship it very fast. I enjoy the drone a lot.